I would be lying if I said that I don't like those sappy heart-warming films. Sure, they are all pretty much the same, but then again they're so touching, especially if they're true. Like Mao's Last Dancer. 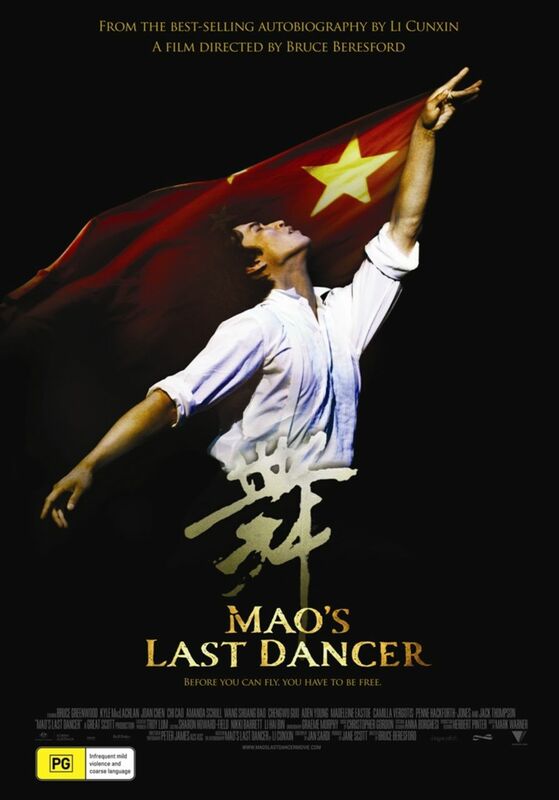 Li (Chi Cao) moved from his homeland in China to America to pursue his dream of dancing in a famous ballet company. He had a happy life doing this, and became very famous for his beautiful dancing, but he recieves word that he has to go back to China has permission for him to stay longer in America has been denied. Li doesn't want to go back to China, and must fight for his right to continue dancing for the ballet company. Despite some awkward bits and slight drops in the script, Mao's Last Dancer is a beautifully done film and entrances the viewer with its sensitivity. It's thoroughly enjoyable, and you will have your jaw dropped during the dance sequences. The fact that it is a true story makes it so much better. A charmingly realistic film, with some great dancing but all in all an enjoyable premise. I saw a preview for this before Chloe I think and I thought it looked pretty cheap and melodramatic but the reviews are saying otherwise. Guess it's time to put it on the list.